Hello anyone willing to give this a look. I have some modules I picked up used and found floating around locally so I know this is not the best thought out system, yet. I also will be getting a Make Noise Black and Gold Shared System Plus that these modules will integrate with. Any suggestions to make this a standalone without the Make Noise would be appreciated. Actually, that was a rather nice haul. 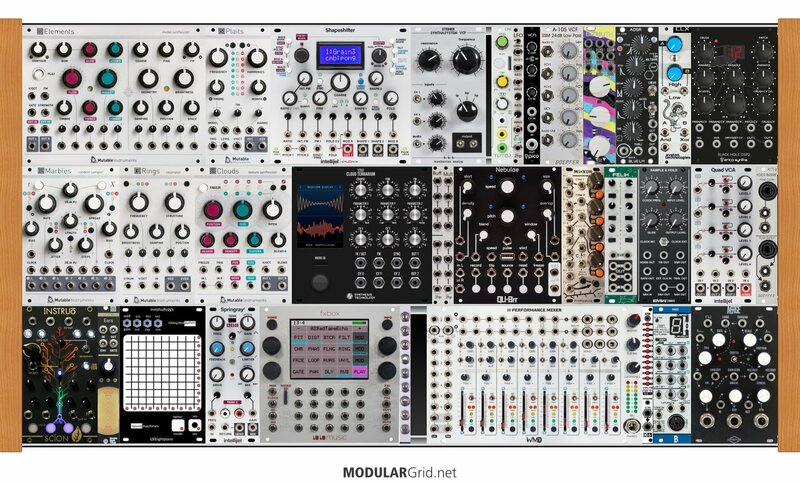 To make that an individual system, you'd need a VCF or two, some envelope generators, some more VCAs (preferably something with mixing capability, such as Intellijel's Quad VCA) and more modulation complexity, such as a Maths. The Waldorf + Elements pairing is super-enviable...wavetable/sampling paired with modelling will be a killer voicing combo. Thanks for the great feedback, really appreciate you taking the time. Looking forward to my adventure.